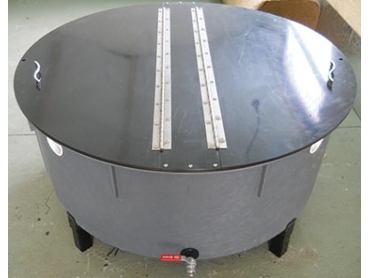 SCRAP offers a new range of commercial-sized worm farms in two models. Offering both environmental as well as economic benefits, SCRAP 380 and 1000 commercial worm farms are designed for organisations producing up to 10kg and 24kg of organic waste respectively per day. Organic waste in landfill accounts for 5% of greenhouse gases globally. By reducing waste going into landfills, these worm farms help protect the environment. The worm farms are made from recycled and virgin plastic materials with stainless steel hinges and fixings for durability. Compost worms are used in the worm farm. Featuring a special base, the worm farm also has a brass/zinc-plated ball valve designed to tap off valuable liquid to feed garden beds. All commercial worm farms come with training, support and back-up to ensure businesses can turns their green waste reduction investment into profitable returns through reduced waste removal.